To save electronic copies of original paper documents they are scanning. Sometimes obtained in this way duplicates are detected using the combined software and OCR scanning applications, and sometimes are stored as pictures. Often after the scan to the original document made any changes that you want to display and in electronic copy. Edit the scan in several ways. If the scanning was carried out in the mode of text recognition, the contents of the received document can be edited before you save it - most of the programs for scanning and recognition, have built-in text editors. 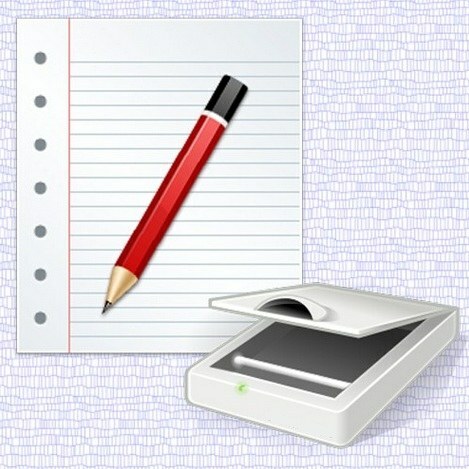 For example, in the popular among Russian-speaking users of scanners program FineReader each page is scanned and translated into a text format document opens in a separate window with the edit menu, the functionality of which is similar to the functions of an ordinary text editor. If the scanned and recognized text is saved to a file, then it can be changed to a standard text editor. To do this, such as Microsoft Word - this word processor is able to read most of the formats used to save texts OCR-software. If the scanned document was saved in an image format to edit, use any graphic editor. In some cases, the standard Paint application that is installed by default with the Windows operating system. Then open the file containing the image of the scanned text, highlight the part of the picture that should be replaced, and fill it with color matching the background of the document. Then pick the size, color and font of the text and type a new fragment over a filled plot. However, in most cases, to replace the text requires more careful work with the image — copy background sites and placing copies on top of text in multiple layers, warp text in accordance with the state of the original document, copy and paste individual letters and words of the text and So is much more suitable for this work a more advanced image editor like Adobe Photoshop. There is another way of replacing a fragment of source text saved as an image of the scanned document. It can be used, if possible scan the new snippet with the edited text. The desired text can be printed on the same (or the same) paper as the source document, so the appearance of the original and corrected fragments will coincide to a greater degree than can be achieved in the graphical editor. Scanned part of the text then it is necessary to impose on the document you are editing using any graphic editor — such an operation is provided almost in all applications of this kind.